This entry was posted in Blog News News: Politics and tagged blog news News: Politics on December 19, 2014 by Tom Grundy. 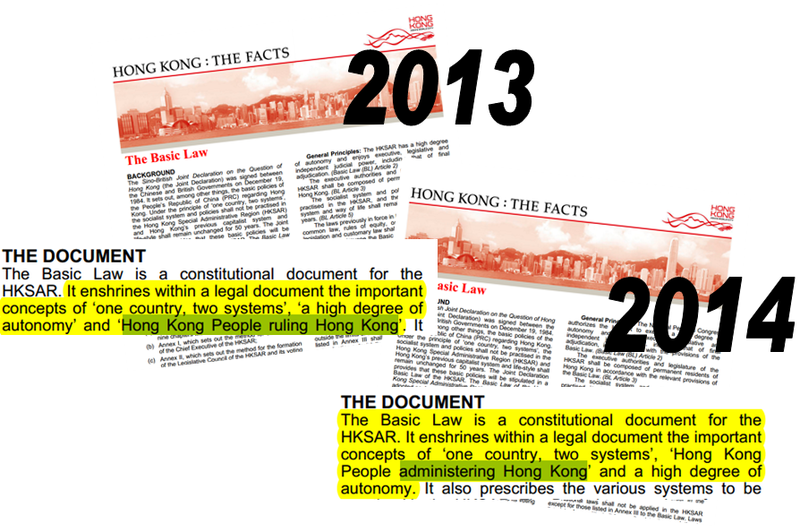 A government fact sheet about Hong Kong’s mini-constitution, the Basic Law, has been quietly updated to state that the city is “administered” rather than “ruled” by Hong Kong people. The ‘update’ was spotted by activist and share market analyst David Webb. This entry was posted in Blog News News: Politics and tagged blog news News: Politics on December 18, 2014 by Tom Grundy. Ex-South China Morning Post editor Jonathan Fenby and two students from the ‘Occupy the British Consulate‘ protest have appeared at the UK inquiry into the implementation of the 1984 Joint Agreement. The agreement gave rise to the Hong Kong’s 1997 handover from the British to China. 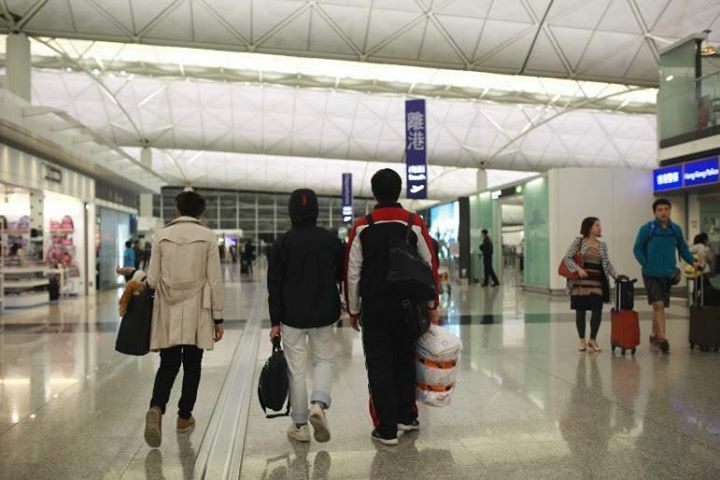 The students were invited to the UK after British MPs were barred from entering Hong Kong by the Chinese authorities. The unprecedented move sparked an ‘emergency debate’ in UK parliament. 0:00:34 Jonathan Fenby, Managing Director of China team at Trusted Sources and Editor of South China Morning Post, 1995–2000. 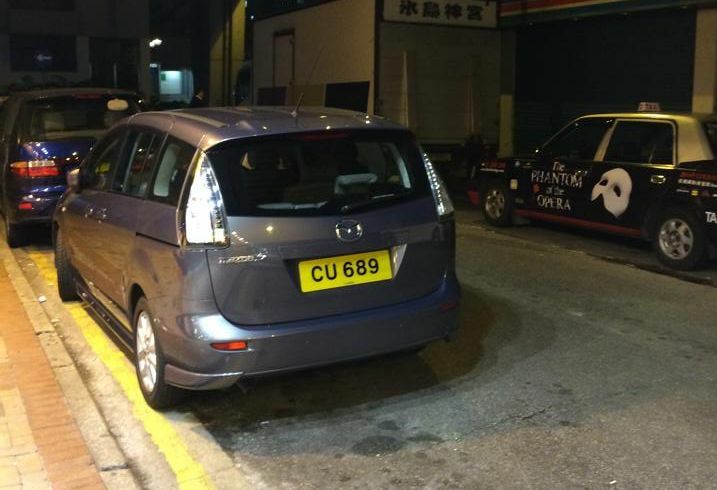 0:47:45 Tang Chi Tak, Student at Chinese University of Hong Kong & Hui Sin Tung, Student at University of Hong Kong. This entry was posted in Blog News News: Politics Photography & Wallpapers and tagged blog news News: Politics Photography & Wallpapers on December 17, 2014 by Tom Grundy. 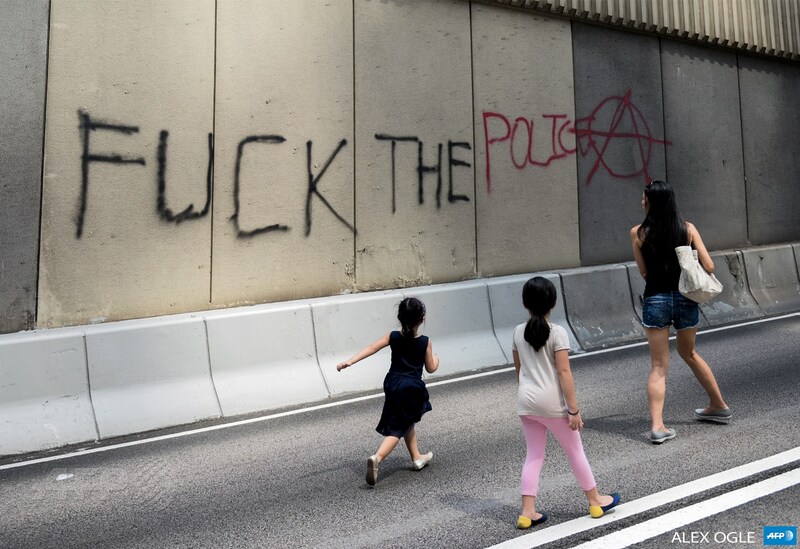 79 days of the Umbrella Movement captured by AFP’s Alex Ogle. Follow Alex on Instagram, Flickr or Twitter. See part 1 here. 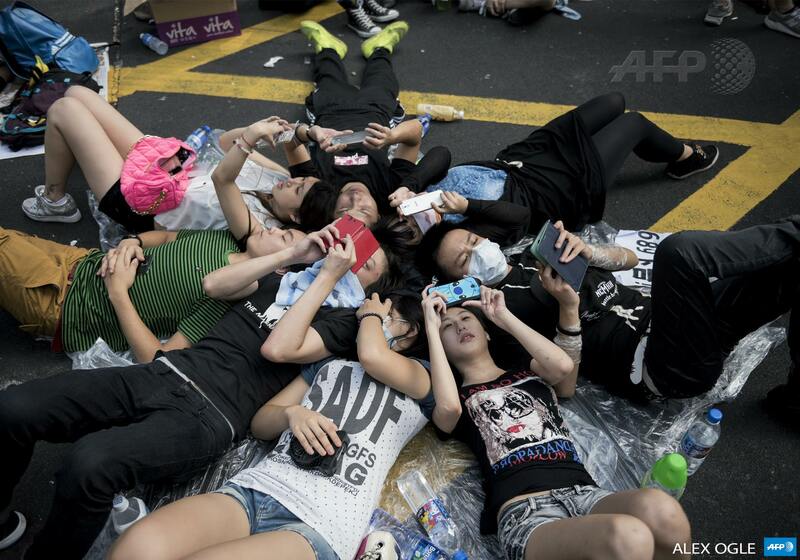 79 days of the Umbrella Movement captured by AFP’s Alex Ogle. Follow Alex on Instagram, Flickr or Twitter. See part 2 here. This entry was posted in Blog News News: Politics and tagged blog news News: Politics on December 17, 2014 by Tom Grundy. 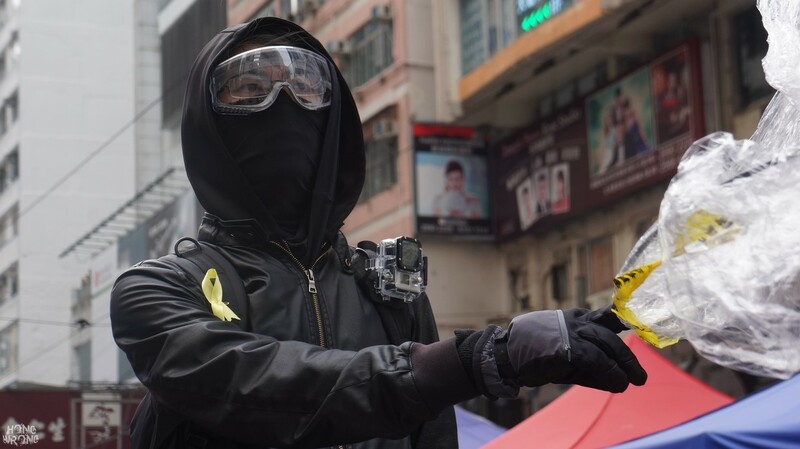 Immediately after the Mongkok camp site was cleared out by police in late November, Hong Kong pro-democracy protesters started the “Shopping Revolution” by pretending to shop in busy districts, blocking the roads and exhausting the police force. Minor clashes between pretence (sometimes real) shoppers and police break out from time to time. 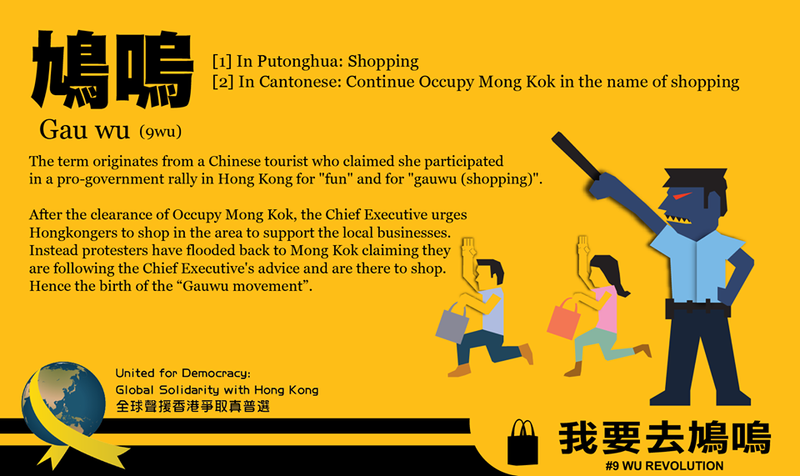 Protesters take advantage of the difficulty in distinguishing real and pretence shoppers to confuse and provoke police, which have lost control in the handling of mass protests under numerous circumstances in recent months. This entry was posted in Blog News News: Politics and tagged blog news News: Politics on December 16, 2014 by Tom Grundy. Two students who have been taking part in a protest outside the British consulate are travelling to London having been invited to speak by MPs at a committee hearing. The Foreign Affairs Committee in Britain will hear from the pair as part of an inquiry examining the the implementation of the 1984 British-Sino Joint Declaration which gave rise to the 1997 Handover. This entry was posted in Blog News News: Politics Photography & Wallpapers and tagged blog news News: Politics Photography & Wallpapers on December 15, 2014 by Tom Grundy. Police dismantled the final umbrella movement Occupy encampment in Causeway Bay this morning. Traffic was restored around lunchtime as police made 20 arrests. Protesters were given 30 minutes to pack up and leave. Most left the area, but around 17 people remained at a sit-in awaiting arrest. This entry was posted in Blog News News: Politics and tagged blog news News: Politics on December 13, 2014 by Tom Grundy. See also: Part One and Part Two of the Admiralty occupy camp clearance. 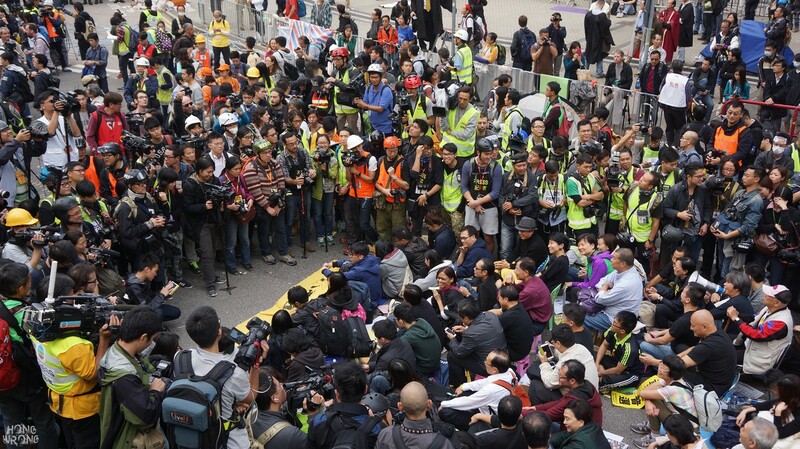 During the Admiralty occupy camp clearance, over two hundred protesters, students and pan-democratic lawmakers held a day-long peaceful sit-in near to the People’s Liberation Army headquarters. At around 2pm, police warned that anyone refusing to leave the site would be liable for arrest.